However, he underwent his final operation at Spire Hospital after plastic surgeon Muhammad Riaz and anaesthetist Dr Zahid Rafique waived their fees because the operation could not be funded by the NHS. Now, Jack's family and Spire Hospital have donated £2,000 to Overseas Plastic Surgery Appeal (OPSA), an East Yorkshire charity helping people with cleft lip and palates in Pakistan. Jack, who lives in Anlaby, said: "I was worried about how much money my family would have to spend but this has made a lot of difference to my nose and lip. "I think other people deserve the help I got and just because they live in a different country shouldn't mean they can't get great doctors and good medical treatment." 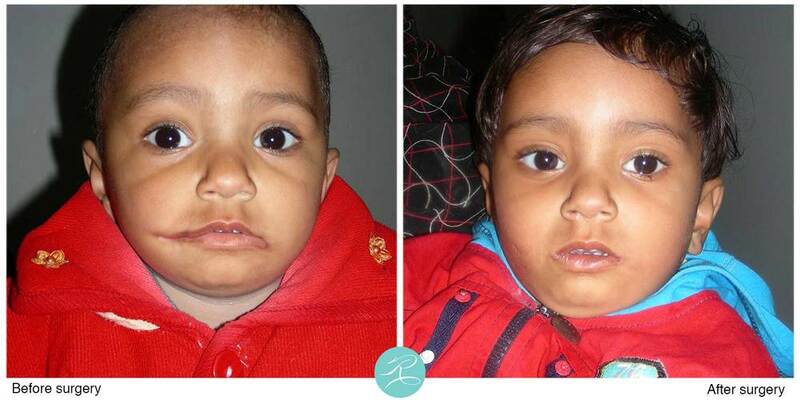 Here are some of Jack's before and after images from his own Cleft Nose Deformity procedure by Mr Muhammad Riaz. The Overseas Plastic Surgery Appeal (OPSA) was formed by plastic surgeon Nick Hart in 1998 and now doctors and nurses from East Yorkshire including Mr Riaz and Dr Rafique offer their services for free to help people with cleft lips and palates in Pakistan. We still thought there was room for improvement so we went to Spire Hospital and read about the work of Mr Riaz. We thought he must really care for people with cleft lip and palates and he was an excellent surgeon so we went to see him. We couldn’t believe it when he said he would take no fee and Dr Rafique wouldn’t take a fee either. It was just so generous. Although we paid the hospital fees, we said we would make a substantial donation to the charity. Cleft lip and palates affect about one in every 600 children in the UK but most undergo corrective surgery within a year. In Pakistan, it affects one in every 520 babies but, with no national health service, many are forced to live with the condition. The surgeons and anaesthetists travel to the country twice a year with theatre staff and volunteers to provide hope for thousands of families. This year, they opened the world's first hospital for children with cleft lip and palates. Jack's mum Beverley, 49, said Jack underwent his first surgery when he was just three months old and underwent another four operations as his face changed as he grew up. 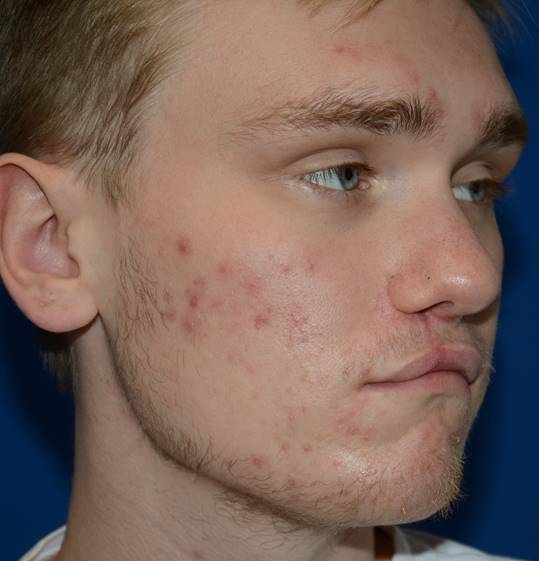 When he was 16, Jack's nose changed shape and the family had to seek a second opinion from Mr Hart after they were told it was unlikely another NHS operation would be possible because it would not make much difference. Although the operation was carried out at Leeds General Infirmary, the family felt one more surgery would improve Jack's appearance and self-confidence further and they went to see Mr Riaz at Spire Hospital. Mr Riaz said he had known Jack since 2012 and used a technique he developed in Gujarat where part of the cartilage in Jack's ear was used to reshape his nose and mesh was used to support the cleft side of the nose to make it symmetrical. Mr Riaz said: "Having treated these kids in Pakistan, I didn't feel I should be charging Jack and his family for this. When someone is born with a congenital abnormality, we should be helping them and they shouldn't have to pay for it. A rare case of duplication of right hemi-nose. There were three nostrils and and full extra septum. There was a dermoid sinus at the root of the nose. Result at three weeks. Cleft nose deformity, reconstructed with local re-positioning of the tissue, three weeks after the operation. "I'm glad it has worked out nicely for Jack and he is happy with the outcome. Everyone has been so supportive, from the hospital to Jack's family, and all the money donated means 10 kids in Pakistan will be able to have treatment." Visit www.opsacharity.com to sponsor a child in Pakistan through cleft lip and palate surgery or support the charity's work by making a one-off or a regular donation.